Getting hit by a car is a traumatic, life-altering experience. You were fortunate not to have been killed, but you may face disability or months of physical therapy. Even if your physical injuries weren’t life-threatening, pedestrians or cyclists hit by cars often suffer emotional and mental anguish. You may experience the effects of post-traumatic stress disorder (PTSD). It’s crucial to file a report about the accident as soon as possible. Even if you think you are unhurt, call the police and have them go to the scene of the accident. Never tell the driver you are fine and let them leave. Make sure you get their license plate number, name, address and insurance information. If your phone wasn’t damaged in the accident, take plenty of photos to document the incident. If you are in no condition to file a report with the police on your own, a friend or family member should do so. If you are badly injured, an ambulance will take you right to the emergency room. If you think you are unhurt or have only a few cuts and scrapes, it is still important to seek medical attention immediately. Whether you were walking or biking, a very large vehicle hit you. It is quite possible you have internal injuries that are not apparent just after the accident. You need a thorough examination. damage to bicycle and helmet, if applicable. If you are hurt and cannot to conduct this documentation yourself, a family member or friend should help you. Long after the accident, individuals who have been hit by motor vehicles must still deal with the repercussions. The sight of a similar vehicle on the street may cause you to panic. Every time you walk along or cross the street, you may feel especially vulnerable. Survivors may require long-term therapy or medication to deal with the anxiety caused by the accident. 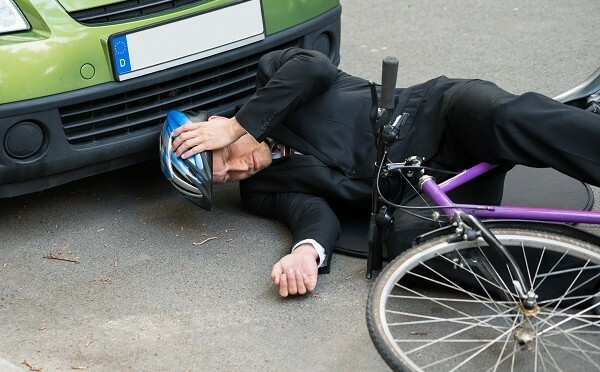 If you or a loved one was hit by a car, you need the help of an experienced personal injury attorney. The driver of the vehicle has his insurance company and their lawyers working for him. You need a legal representative for your interests. Contact the Dashner Law Firm. Our attorneys will evaluate the case details and make sure you understand your rights and options before moving forward.